National Vegetarian Week is your chance to join millions enjoying amazing veggie food. Keep a look out for new recipes, tempting offers, and refreshed restaurant menus across the UK. The Vegetarian Society is a charity that is passionate about veggie food! They want everyone to know how varied and delicious vegetarian dishes are – and how easy it is to enjoy a veggie lifestyle. For more details of the ’50 veggie things’ please contact Su. Go veggie! – Going veggie is one of the best things we can all do for the planet and it’s never been easier. By giving it a go this #NationalVegetarianWeek, you’ll be helping the environment while tucking into some delicious food. Download the Going Veggie guide for hints, tips, protein switches and all your questions answered. Grab something veggie to go – In a rush? The high street is a great place to get something veggie on the go. From vegan sausage rolls to veggie BLTs there’s something for everyone. Keep an eye out for special #NationalVegetarianWeek offers! Take on the burger taste-test – Taste-test the next generation of plant-based burgers that have been fooling foodies everywhere. Head to Marston’s pubs to try the Moving Mountains B12 Burger, or get stuck in at home with the Beyond Burger available in Tesco stores. Ask your canteen to go veggie for the day – A whole canteen of people eating veggie for a day could have a huge positive impact on the planet. This is great for schools, groups or workplaces! Everything you need is in our recipe pack, so ask your canteen chef to give it a go. Donate veggie food to a food bank – Next time you’re shopping buy an extra can of beans, a tin of tomatoes or a bag of rice to donate to your local food bank. It’s a simple way to help others. Try jackfruit – Jackfruit is so versatile – it’s great in burgers, amazing with BBQ sauce and a tasty way to get one of your five a day. Grab some at your local supermarket and get stuck into some recipes. You’ll be amazed at what you can make! Share a photo of your veggie shopping – Whether you fill a trolley or basket, or just carry as much as you can – make your shopping totally veggie. Stock up and use #NationalVegetarianWeek to show off your shop. Order a tofu dish from your local Chinese takeaway – Whether it’s in a Sichuan, black bean or chilli-ginger sauce, take-away tofu dishes really hit the mark. Usually deep fried and often crispy, tofu is packed with protein. Order from your favourite restaurant’s menu and tell us what you think using #NationalVegetarianWeek. Make a BOSH! Recipe – Looking to make an incredibly tasty vegan meal? BOSH! have you covered. Check out their #NationalVegetarianWeek videos. One taste and you’ll want their brand new cookbook, BISH BASH BOSH! Share some veggie sweets – Put a smile on someone’s face and share a bag of veggie sweets today. Whether they’re chewy, fruity or fizzy – there’s so much to choose from when sharing a little sweetness. Graphics and images are available please contact Su. Henry Firth and Ian Theasby, The Sunday Times Number One Bestselling authors of BOSH!, grew up in Sheffield becoming best friends at secondary school. Now living and working together at their BOSH! 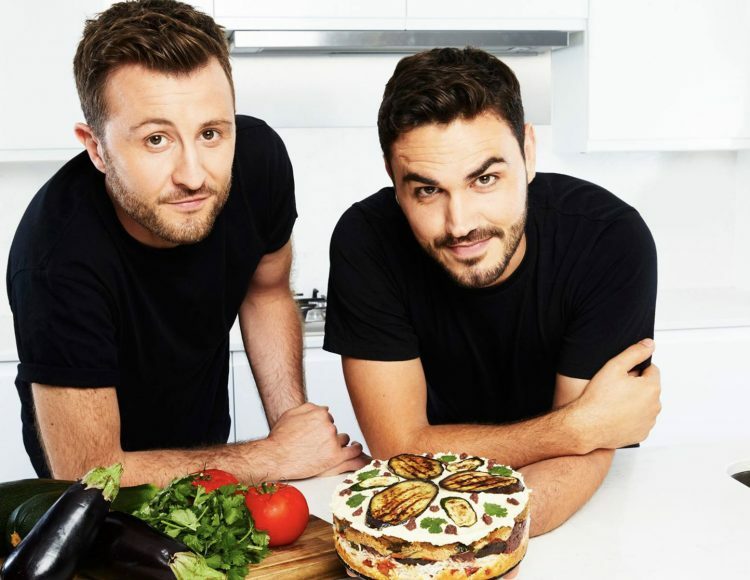 studio in London, Henry and Ian create delicious plant-based recipes that are shared across the globe. Posting their first recipe online on 17 June 2016, BOSH! now have over 1.8 million Facebook fans, reaching over 26 million people a month. A competitive bidding war between publishers resulted in BOSH! signing their first book deal with HarperCollins which was released on 19 April 2018, going on to become the best-selling vegan cookbook of all time and best-selling debut cookbook of 2018. HarperCollins have since bought two more books from Henry and Ian, with the next, BISH BASH BOSH!, released in April 2019. With delicious recipes and a relaxed approach, BOSH! bring their friendship into the kitchen to help surprise and amaze people with just how great plant based food is. As seen on: ITV This Morning, BBC Breakfast, Sunday Brunch, Channel 5 News, BBC Look North, NBC’s The Today Show.